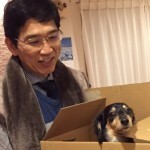 I’m Akira Hayasaka MD, Liver Disease Expert in Japan. Today I would like to introduce an interesting article on nutrition care of patients with liver cirrhosis from May 2011 issue of “Hepatology Research”. Aim: A late evening snack (LES) improves protein-energy malnutrition due to overnight starvation and the catabolic state in patients with liver cirrhosis. Our aim was to examine whether LES including a branched-chain amino acid (BCAA) could maintain hepatic reserve and the function of hepatic parenchymal cells in patients with liver cirrhosis, including those in the early stage of disease. Methods: Seventeen patients with liver cirrhosis received LES with a BCAA-enriched nutrient mixture. During the study period, each patient was instructed on energy and protein intake. Indicators of liver function measured at 6 months included maximum asialoscintigraphic removal (Rmax: indicator of total liver receptors), asialoscintigraphic imaging grade, serum albumin, ammonia, tyrosine and BTR (molar ratio of branched-chain amino acids to tyrosine). Results: Serum albumin levels, BTR and tyrosine levels of the 17 patients were significantly improved after nutrient treatment. In patients with Rmax of 0.2 or higher, serum albumin level and tyrosine level were significantly improved. Conclusion: LES with BCAA-enriched nutrient therapy can improve protein malnutrition in patients with liver cirrhosis, and is more useful in the early stages of liver cirrhosis in improving hepatic parenchymal cell mass.